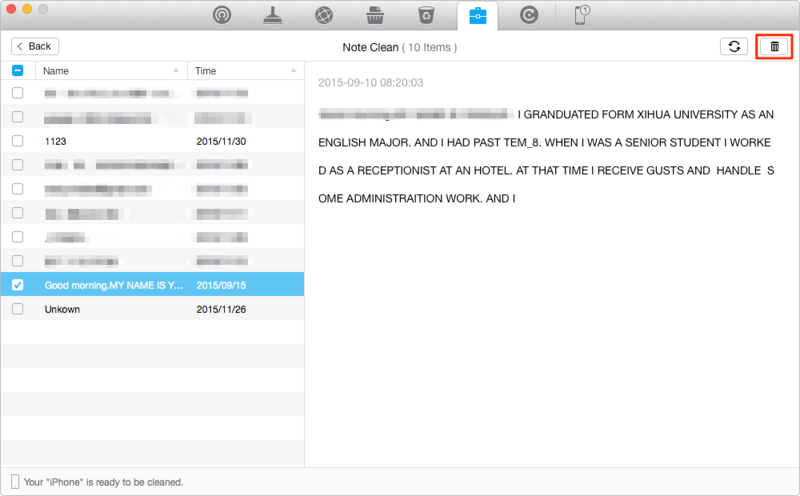 Want to find an easy way to clear expired notes on your iPhone? Then you can't miss this article shown you a way out! 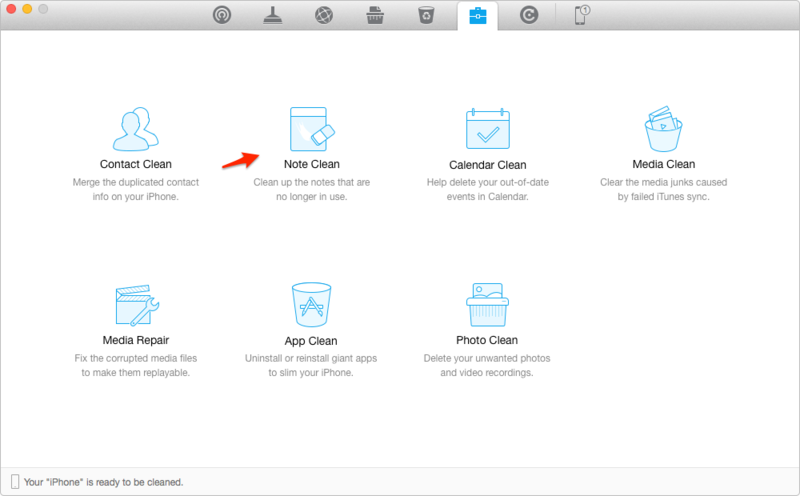 Get started now with this awesome clear utility so that you can make use of it after reading this how to clear expired notes on iPhone guide. The "Notes" function on iPhone has always been so helpful to make our daily life in order. One can rely on it too much that he may accumulate hundreds of notes, if not thousands of. But the sad truth is that the inconvenience comes side by side with the facility, for the accumulated expired notes are such cumbersome to delete someday. And most likely, a note may contain sensitive info, like financial and payment data, as well as health and medical info. It's such a great threat to reveal your privacy if you keep those expired notes remained on your iPhone. There are two ways to delete the expired notes on an iPhone, one way is to trash directly, and the another is that you give a left slide and then there's a delete button appeared and there you can tap on the delete button to remove the note, but both of the two ways have to delete the notes one by one. Good news is that PhoneClean is a good solution to the trouble. It will provide you a check box to choose the notes you want to clear and once you finish choosing, you can clear them all at once. Step 1. Launch PhoneClean > Connect your iPhone to computer > Click on Toolbox on the homepage > Tap Note Clean. Step 2. Select the notes you want to remove from your iPhone > Click on Delete button.